Discussion in 'Amps and Cabs' started by 6tringer, Jul 28, 2008. This is my first post. I enjoy this forum. Lots of great discussion here, so I'm hoping for some informed opinions from those of you who own or have used the Swart Atomic Space Tone. I want to buy a quality boutique amp. I am seriously considering the purchase of a new Swart AST but I have not had the opportunity to try one out. Everything I've read says they are great sounding amps and it fits my idea of style, size and output. I play bluesy & classic rock in a trio and practice jazz at home. 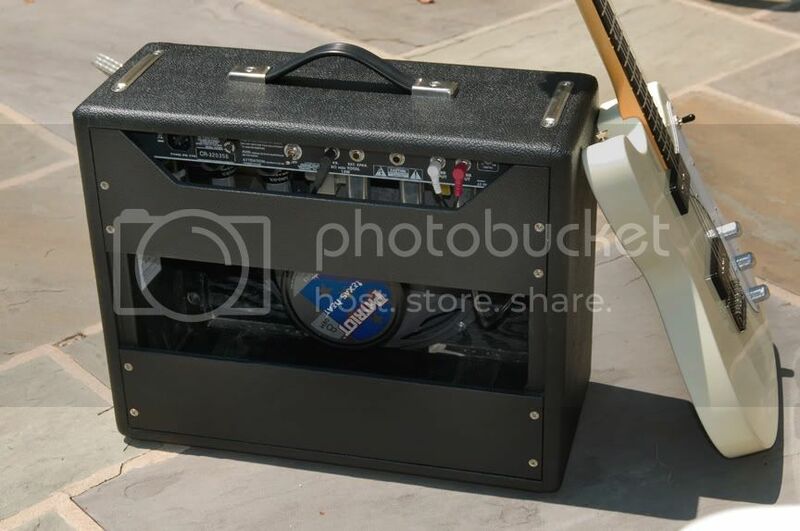 Lately I've been using a Blues Jr. for pub gigs and home use. I mostly play a parts Tele with Seymour Duncan Vintage Mini HB at the neck and a Vintage Stack in the bridge. For the jazzy stuff I also have a Godin Montreal. Will I notice a significant change in quality of tone ($1500 worth) between the AST and the Blues Jr? Does the AST sound great clean, at living volume or does it break up early? The AST is a beastly little amp housing gorgeous tones, from clean to grinding roadhouse blues. For where you're at and the guitar you're using I can't see anything but infinite happiness. It's a loud sumbitch for the home circuit but the tremolo and verb shine under house rules and less volume. And the positional 3D voicing of the cabinet makes the combo more versatile than one would imagine a single tone control to posses. Break up on the Swart is early but the girth is malted milkshake and it will probably make the Blues Jr appear strident at the same volume. It's a very, very, very good amp. Welcome to The Gear Page. The AST, which I have gigged several times, is a far better amp than what you're using...a significant upgrade. I love my AST and the 3-D effect the cab design imparts. But, at least for me, live it doesn't "project" with the stridency of conventionally designed open back cabs. It gets a little too dirty a little too soon to use un-mic'd (pure opinion here) at average live band volume. Recently I bought one of the Fender Princeton Reissues (PRRI-$850-ish) for other jammers to use at jams we run here in the Philly area. I yanked the 10" baffleboard and replaced with a 12" board and tossed in an Emi Texas Heat. Result: Remember that the AST is loosely based on a Princeton anyway. I was shocked when comparing the 12" equipped PRRI and my AST head up. I'm pretty fussy about my amps, more so than guitars. Gig with a '62 brown Super, a '64 Deluxe Reverb, and a slew of other old Fenders. I gotta say, TONE-WISE, Fender pulled it off with the PRRI. Just luscious with the 12" speaker. I'd give the nod for tremolo to the AST. But on most other counts, the 12" more than holds it's own in a direct comparison. I love my AST ($1500+) and I love the PRRI ($850)... sonically they are strangely close when running through twelves (I changed out the stock Mojo speaker in the AST a few years ago for a Texas Heat). I know this will shock some AST users (me being one). 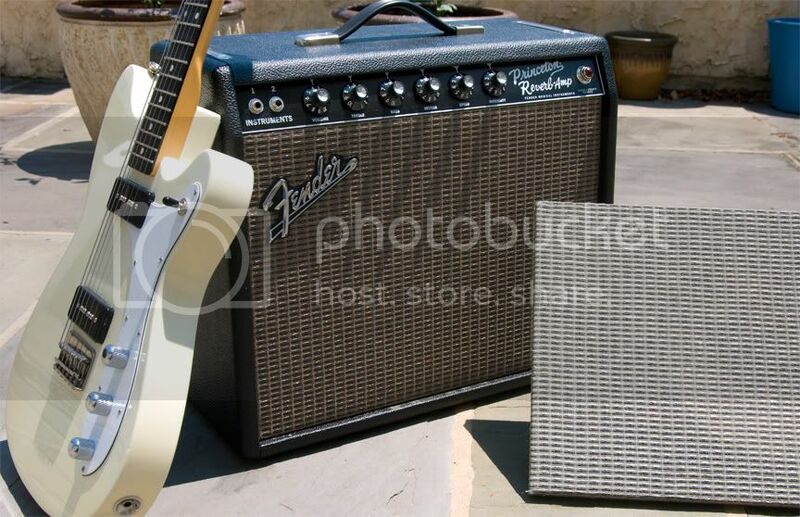 So if it's basically a home situation, and you're not hell-bent on P-T-P wiring, you may want to at least head down to your local Fender dealer and give the PRRI a listen; even better, bring a speaker cable and run it through a 12"... this is a whole lot of tone for the buck. Don't get me wrong...I LOVE the AST and it's very complex swirly tone. But the PRRI (when changed over as a 12" amp-$75 for the baffle and maybe $65 for the speaker) is one gorgeous sounding amp. Doesn't have the bragging rights of a Swart, but has 90%+ of the tone.